Is a Walmart Elliptical a Wide Choice or Should You Look Elsewhere? Should you buy an elliptical from Walmart? Many people do. But it's not necessarily the best choice for you. Read on to find out the pros and cons of purchasing your new cardio machine from the nation's largest retailer. Do They Carry All of the Brands? Walmart does carry a wide selection of elliptical brands, including Exerpeutic, Gold's Gym, ProForm, Schwinn, Nautilus, Welso and Gazelle. All of these, however, besides ProForm, are considered low end brands. Schwinn and Nautilus are big names, but as you'll learn from our reviews, they just don't make high quality machines anymore. So there is a decent selection, dozens in the store and hundreds online, but in general the Walmart ellipticals are entry level, low end models. Let's start out with the benefits of purchasing your cross trainer at Walmart. For starters, you can save a lot of money. The ellipticals that they carry are low priced to begin with, and then they have their sales, exclusives, rollbacks, etc. that help you save even more money. You also have the ability to buy online or pick it up in the store, which can be very convenient. Many of their machines are available with free shipping as well as extended coverage options with their Product Care Plan. Lastly, you can always bring it back within 90 days if you are not satisfied with your purchase, so you have that peace of mind..
As we mentioned above, all of Walmart elliptical trainers are entry level models, i.e. they don't sell high quality cardio machines. So you aren't paying alot but you are also not getting a lot. 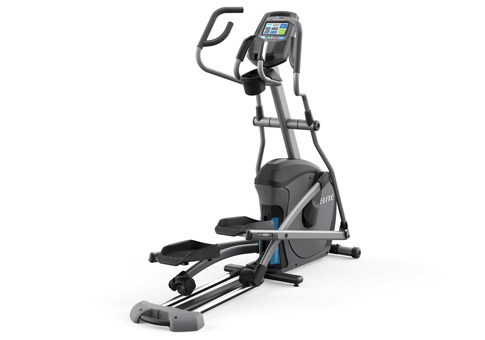 Most of their ellipticals are under $1000, with the bulk of them under $500. Although the ProForms closer to the $1000 are decent, the rest of them really aren't great. Any elliptical under $500 is just not going to last. If you just don't have the money for a better machine, and you're just going to use it lightly every once in a while, you might be OK. Otherwise, you are much better off getting your elliptical somewhere else besides Walmart. Another thing to consider is the model selection. They tend to have models that are a little older, or that you don't find elsewhere. This can make it difficult to get replacement parts or help. An older model also doesn't have the latest technology, as things often change from one year to the next. Are There Any Good Options There? 1. Go with a ProForm, as it is a brand that the parent company, ICON Health, concentrates on. Models improve, there are new features and capabilities, and it's a decent brand. 2. Stretch your budget as much as possible. You'll be much happier with a Walmart elliptical that costs you $999 than you will with one that costs you $499. If it will last another 5 years, isn't it worth an extra $500? 3. Consider a protection plan, especially on lower priced models. This will cover you on top of the manufacturer's warranty, which tends to be weak on cheaper models. So there you have it, the pros and cons of buying an elliptical at Walmart. Sure, their machines are cheap, but when it comes to exercise equipment, you definitely get what you pay for!